On November 1, the Chamber Singers will have their first performance of the year. The group will be singing at Immanuel’s annual “Eventide by the River” dinner and auction. This event is a wonderful fundraiser to help raise money for scholarships for kids to attend Immanuel. From November 15 to 23 the Concert Choir will be performing the high-flying Broadway musical, Peter Pan. In December, all five Immanuel choirs will be performing at the “All is Well” Christmas Concert. This event will be held in the Immanuel Chapel on Tuesday, December 16 at 7 pm. This is one of their two concerts for the year. The students will have the opportunity to show the audience what they have worked on during the first semester of school. 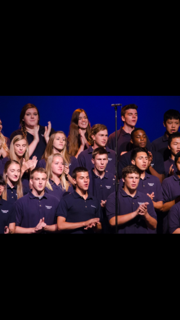 The students love being part of the choir program. 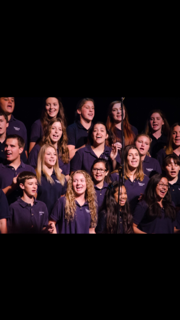 “I enjoy being in choir because it lets me participate in my main passion, performing. It pushes me out of my comfort zone and allows me to grow in confidence and in vocal abilities. Choir is great because I can freely express myself and use my talents for God’s glory,” said senior Chamber Singers member, Megan Fox. Throughout the year, the students have the opportunity to be a part of numerous musicals, concerts, trips, and other activities. Many choir members also get to experience being backstage crew members for shows. This is an experience many schools don’t offer, and gives the kids a different perspective of the stage. 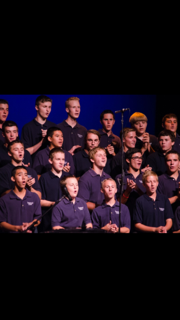 Choir has been a major highlight of many Immanuel students’ high school experience and will continue to be for years to come. We hope you all come to see Immanuel Choir perform! Kami Hinds is seventeen years old and a senior at Immanuel High School. She has participated in choir, drama, musicals, chapel band, and student council among other things. She hopes to major in musical theater in college, and pursue some type of career in the performing arts business.